Games With Gold featuring Garden Warfare 2! FINISH HIM! Mortal Kombat 11 is here! Final Fantasy classics come to Xbox One! Xbox Evolved - Death, Dinos, and Destruction! OBJECTION! Phoenix Wright comes to Xbox! On the trail of the elusive Sheepsquatch! The Division 2 - Chris learns to play! Bloody Palace is here - How long will Mike survive? Borderlands is back - Now in 4K UHD! Talking baseball Opening Day, and Chris learns to play! Apex Legends - Octane and Season 1 action! ID@Xbox Showcase - Trailmakers (Game Preview) and Gang Beasts! Survival meets RPG in Outward! Wasteland Wandering - Survival Mode! Let's get this Firestorm started! Join Luffy and co. in One Piece World Seeker! ID@Xbox - Help Alex choose what to play! Season 1 Battle Pass and Octane! Just Cause 4, Batman, and more are now in Xbox Game Pass! Devil May Cry 5 launch and Xbox Sessions w/ Joel McHale! Operation Grand Heist is under way! ID@Xbox - Black Desert and ToeJam & Earl! Season of the Drifter is here! Death Dinos and Destruction - Homestead Update is here! Fortnite Funtime - Season 8 is here! ID@Xbox Showcase - Stellaris and Yonder! Launch Day - Do you hear the Anthem? ID@Xbox Showcase - Puzzles and Platformers edition! The Weekly Reset - Get that gear! Kick it with Chris and Diarmuid - learn to play! Sneak Peek - Return to Hope County in Far Cry New Dawn! ID@Xbox Showcase - Flights and frights in The King's Bird and Conarium! Kick it with Chris and Diarmuid - Snowpocalypse Edition? ID@Xbox - Wargroove, ASTRONEER, and Pumped BMX Pro! 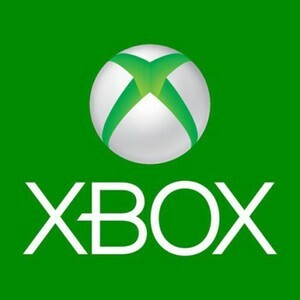 Inside Xbox is BACK for 2019! Open Demo - Get to your Javelin! Kick it old school with Chris and Diarmuid! Free Play Days - Gears of War 4 and Fortnite!